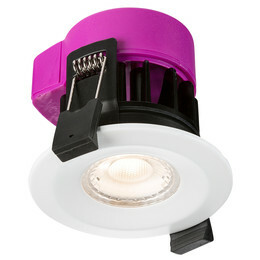 230V IP65 6W recessed fire-rated LED downlight. 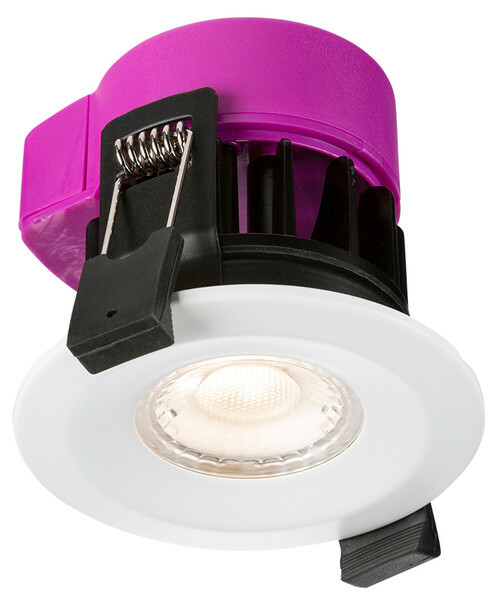 CCT dim to warm tuneable function, adjustable colour temperature from 3000K to 2200K. Take control and enhance the ambience of your environment be it at home or a hotel/bar this product enables the user to adjust colour temp together with brightness as required. Suitable for bathrooms and all areas where a high IP rating is required. IP65 as standard. Smoothly dims down in brightness from a maximum output at 3000K reducing the colour temp and lumen output to approx 2200K.